Stay Three or More Nights and Save! 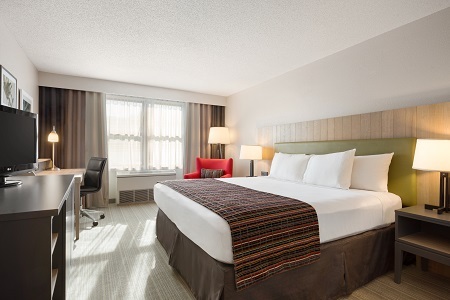 For a relaxing escape just 10 miles west of downtown Minneapolis, book a stay at the conveniently located Country Inn & Suites® by Radisson, Minneapolis West, MN. Our Plymouth hotel offers weekday business travelers and weekend vacationers a free, hot breakfast, two indoor pools and beautiful, contemporary hotel rooms. Corporate travelers appreciate our on-site business center and our location in Carlson Center, the city’s largest business park and home to companies like Wells Fargo, Siemens and General Mills. Take the kids to catch a Minnesota Twins game at Target Field downtown, or ride the coasters and shop at the mammoth Mall of America. Both attractions are less than 18 miles away. 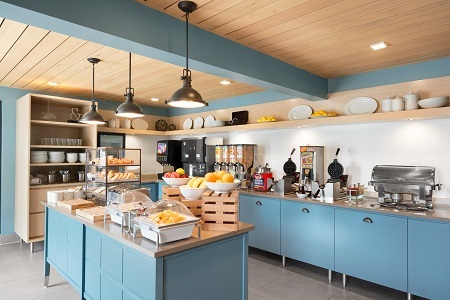 Hotel guests rave about the free, hot breakfast, featuring waffles, bacon, coffee and more, served every morning in our inviting dining area. For lunch and dinner, head to Grizzly’s and sample smoked-to-perfection barbecue sandwiches or zesty fish tacos. Top off your meal with a beer on tap. Grizzly’s also brings tasty dishes directly to your hotel room with a special room service menu. Learn more about dining options in nearby Minnetonka and Minneapolis. Mall of America – As the largest mall in the U.S., Mall of America has something for everyone. Shop in more than 500 stores, visit the aquarium and the children’s museum, and treat yourself at one of the mall’s 50 restaurants. Minneapolis Convention Center – Explore job fairs and trade shows, attend a conference or sample your way through a craft beer festival at the Minneapolis Convention Center, 11 miles from the hotel. Target Center – Find comedy shows, concerts and sporting events at the Target Center, less than 15 minutes from the Country Inn & Suites. 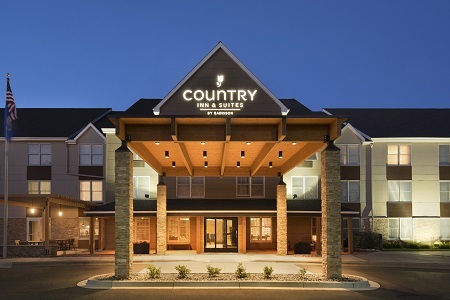 Whether you’re planning a sports team trip or a breakout session during a day of meetings, the Country Inn & Suites, Minneapolis West offers several convenient options. 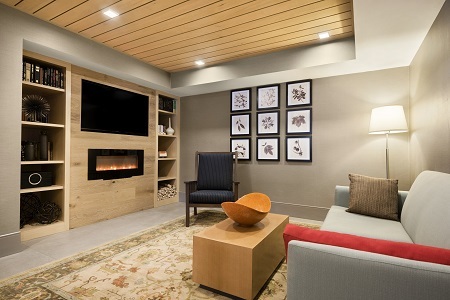 Reserve a block of guest rooms for attendees, and plan an event for up to 40 people. We can set up a private Web page that allows guests to book their rooms and find out details of the event. Guests must be 21 or older to reserve a hotel room.